Hopefully everyone had a celebratory evening last night…I definitely had a glass of champagne in hand. I have to say I am so excited about 2015 and what this year will bring…I already have some adventures planned and am beyond thrilled anticipating them. I got up this morning and although I was going to attend the rose parade (heck I live in Pasadena) I decided to stay in and write down my dreams and projects for the year. I watched the parade on TV, whipped out my journal and served myself up a slice of my grandma’s pumpkin bread. This was a pleasant and intentional morning indeed! 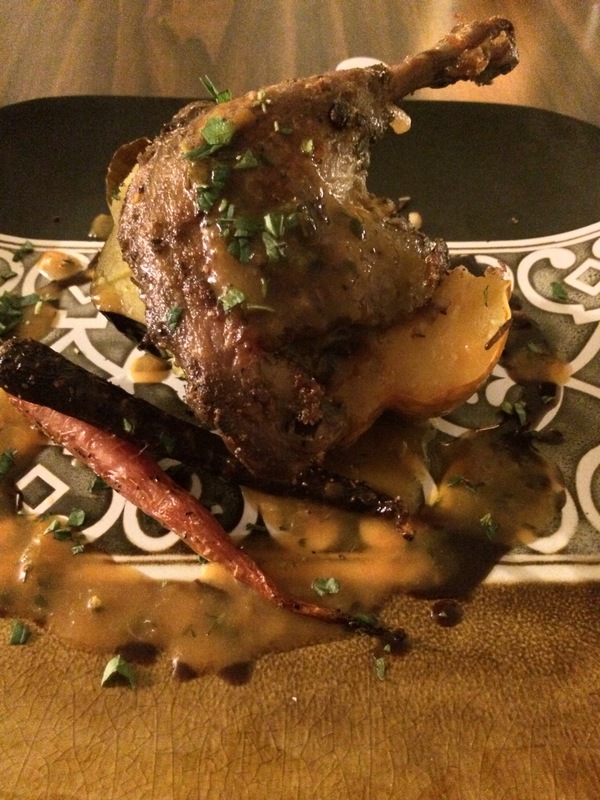 I did want to share the recipe for the duck dinner I wrote about in my previous post…it was truly so fabulous and if you don’t eat duck you can also make this with cornish game hens, or chicken. Basically, you sear a whole duck (game hen or chicken) in oil until browned on all sides. You then stuff it with jalapeño cheddar cornbread stuffing (we made our own with apples…YUM!) and bake it for an hour or so depending on the size of your bird. Then you make this delicious citrus glaze to baste and serve over the duck breast. It was a toss between a duck a la orange and sort of a southwest country barbeque meal….heavenly! Below I will share printable recipes for the stuffing and sauce. I have to say my days have been filled with such simple pleasures on this lovely little break I have had. There is nothing better than spending my days curled up on the sofa reading books, sipping hot chocolate, long walks in nature, having nothing to do and no where to be, staring out the window or into the fire…LOVE it! I am going to bring more of these simplicities into my daily routines. Some high-lights from the past week…. 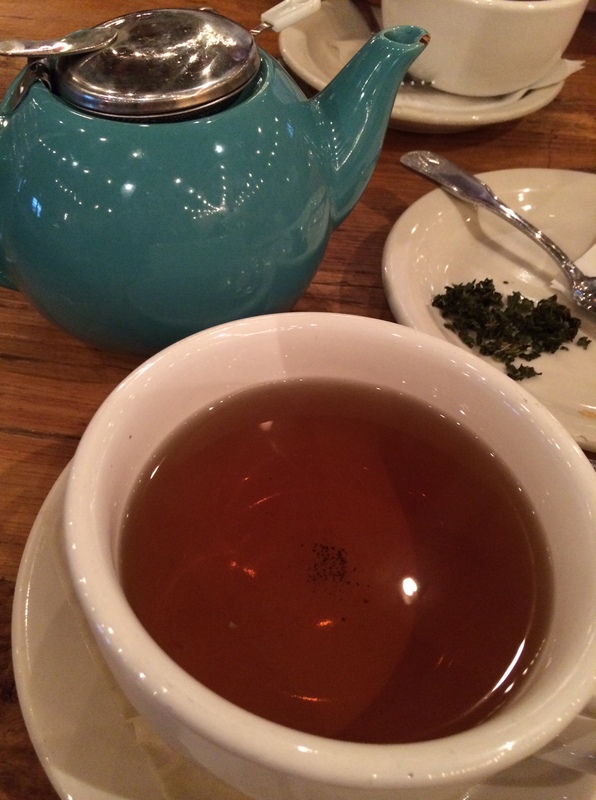 ~Tea time at Bon Vivant Cafe…I want this tea pot…. ~The movie “I Origins” really intense with a beautiful meaning. Rent it! 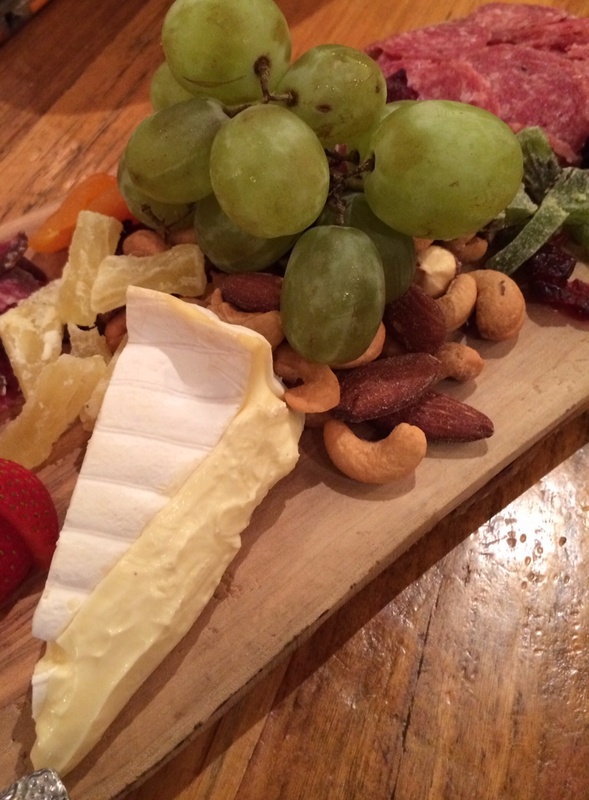 ~Sharing a charcuterie and cheese board over a two hour lunch…with wine! To me two hour lunches with cheese and wine is heaven… enough said. Put over medium low heat and reduce until syrupy. Approximately 20 minutes. Baste the duck with some of this glaze the last 10 minutes of cooking as not to burn. Then serve the rest of the sauce once meal is plated. Brown sausage in skillet over medium high heat in some olive oil. Once browned (6-7 minutes) remove sausage to a plate and pour excess fat/oil into a cup reserving 2 tbsp only in the pan. Sauté onions, carrots, celery, parsnips and apples until translucent. Add in garlic and herbs and heat through for 5 minutes. Now, add in your cubed cornbread, sausage and pour in enough chicken stock to moisten. Once combined and heated through, set aside to let cool. Stuff the cavity of your bird liberally. Aunt jenny! Have not read the book yet but her talk was wonderful! Happy new year! I’m excited about the new year too Krista and what a great way to start the year! 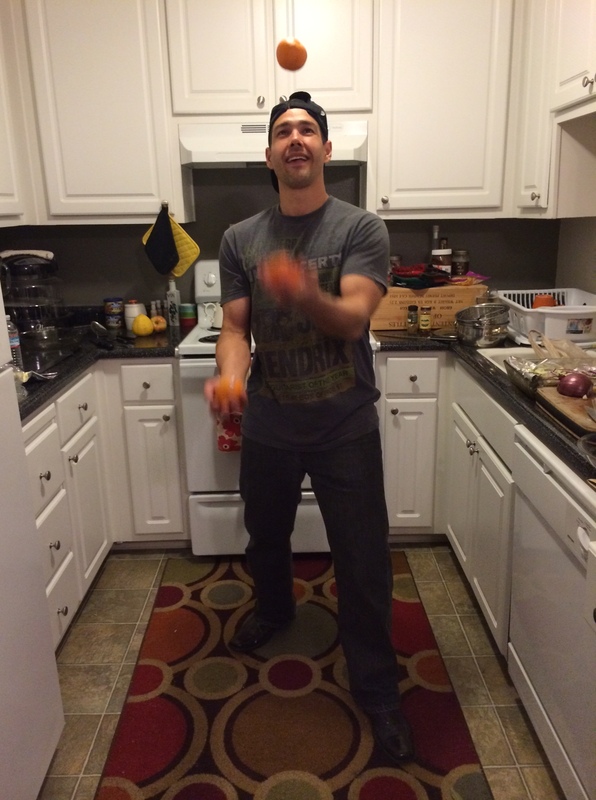 I love the duck recipe but can only juggle 2 oranges. Also, thanks for reminding me to read the book “Quiet” as I totally forgot until you mentioned it. Enjoyed our Christmas Eve concert together…coming home past my bedtime was all worth it!